Because public defenders often lack experience, don’t trust your defense or your future to an overburdened, inexperienced public defender. Picking up from 5 Reasons to NOT Trust Your Defense to a Public Defender (Part 1), here are three more reasons that you should be weary of trusting a public defender to represent you after you have been charged with a crime. Public defenders often lack experience – In many cases, public defenders are lawyers who are recently out of law school and haven’t had much experience defending people against criminal charges.This can be a significant problem for the accused, as an inexperienced attorney may not know how to litigate certain cases, may overlook crucial evidence and will likely not be effective at convincing juries of their clients’ innocence during trials. Additionally, inexperienced public defenders will likely not know how to properly negotiate favorable plea deals for their clients. Public defenders may not be able to defend you outside of court – For cases like DUIs, the accused person will need to be defended in court and in the DMV. Public defenders will only be available to mount a defense (and possibly not even a very good one) in court. This means that people won’t have a defense for the administrative cases against them, which ultimately will result in additional penalties for that person. Public defenders typically don’t have the resources that private defense lawyers have – When it comes to building a strong defense for the accused, having resources (like expert witnesses, private investigators, legal assistants, etc.) can be critical to gathering more evidence that may ultimately help the accused achieve the best possible outcome to his or her case. Because public defenders are usually working with very little resources, they often cannot go the extra mile for the accused, which can leave crucial evidence behind and can seriously weaken a person’s defense case. If you or your loved one has been arrested for and/or formally charged with any crime, Christopher Griffin wants you to know that he is ready to immediately start providing you with the strongest possible defense against police and prosecutors – both outside and inside of the courtroom. Regardless of whether you are facing criminal charges for the first time, have prior convictions and/or were on probation or parole at the time of the alleged crime, Christopher Griffin and all of the legal professionals at the Griffin Law Firm will work relentlessly to help you obtain the best possible outcome to your case. 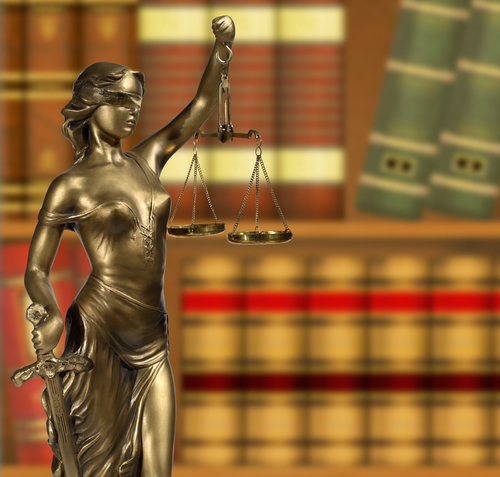 In fact, our steadfast dedication to the notion that the accused are innocent until proven guilty means that we will do everything in our power to help you resolve your case in the most favorable and efficient manner possible. To receive a complete evaluation of your case, along with professional advice regarding your best options, contact us by calling 303-280-1070 or by emailing us using the form at the top of this page. We are ready to put our experience and resources to work defending you. The accused are innocent until proven guilty and we believe everyone deserves to be treated fairly. It is our goal to ensure that every person charged with a crime is given the experienced and caring representation they deserve. The Griffin Law Firm specializes in criminal legal defense serving the Denver metro area focusing on Broomfield, Boulder and Adams County, which includes the cities of Westminster, Northglenn, Thornton and Brighton as well as the Colorado Front Range and beyond. The Griffin Law Firm is the choice in criminal defense law offering valuable legal counsel to help clients make the right legal move. &COPY; 2019 by Griffin Law Firm. All rights reserved.